There is a thing about Indian gems. Having been loved deeply since the beginning of civilisation and used as talismans, astrological aids, religious implements, therapuetic material, and of course adornments, the sheer diversity of precious stones found and mined in India has inspired us to curate a collection of the choicest varieties of the same. And it is more than just the intensity of colour, the brilliance and the beauty that we associate with them. These have their counterparts in flowers and the elements of nature. 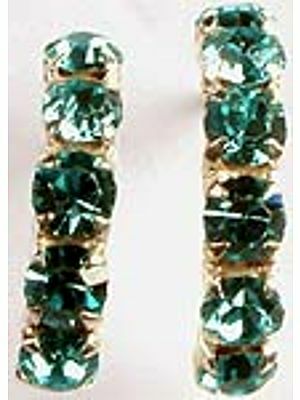 What lends covetousness to gemstones is the unchanging aspect of its beauty. While the glories of varied climes undergo continual change, a gem remains the gem that it was a thousand years ago and would remain that way for the thousands of years to come. Against the backdrop of the mind-bogglingly dynamic world we live in, the forever-kind permanence of our quality gemstones holds captive the human heart. There is something for everyone in this carefully selected collection, varied colours having been extracted from the bosom of the subcontinent. Some of the reputedly mystic ones are considered to be home to spirits whose benevolence is best determined by your astrologer. These are believed to have the power to shape one's destiny. The blood-red ones stoke passion and fervour, while yellow ones are used to deal with infirmities of a subtle nature. The pristine hue is the most preferred colour for those with an inclination towards spirituality, affability, and stability. While blue is a very practical colour, green stands for rank and power. As adornments and aids, these gems must be worn on the person at all times where their respective colours are conspicuous and their subtle virtues imbibed by the body. 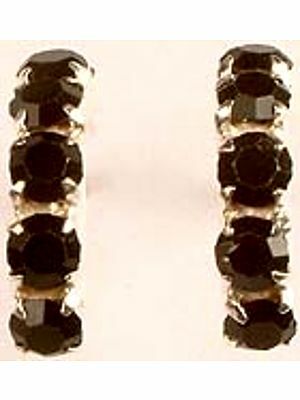 Studded on earrings, necklaces, rings, and bracelets, our gems are harbingers of good fortune and pleasure. Indulge yourself today! Shop for Indian Rings made of Sterling Silver studded with stones like Pearl, Amethyst, Amber, Garnet & more. Find intricate Indian Jewelry at ExoticIndia. Find 22 & 18 Karat Indian Gold Jewelry such as Gold Rings, Earrings, Necklaces, Pendants, Nose Rings & more at ExoticIndia – the online Indian Jewelry Store. 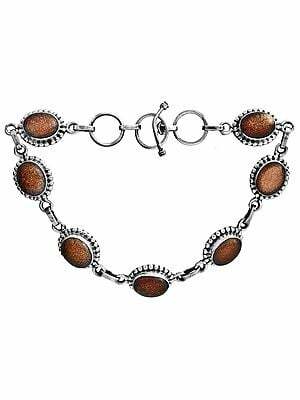 Buy handcrafted Indian Bracelets for Women for occasions like Weddings, Parties, etc. We have Turquoise, Garnet, Lapis Lazuli Bracelets & more at ExoticIndia. Find exquisite Indian Necklaces like Pearl, Sterling Silver, Amber, Amethyst, Garnet Necklaces & more. 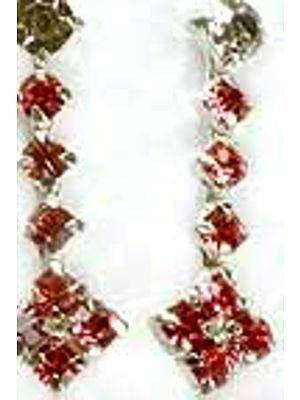 Buy intricate Indian Jewelry at ExoticIndia.